@WordFoto app – Picture your keywords. 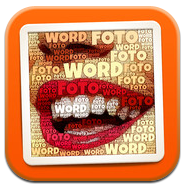 WordFoto is only available for iPhone and iPod Touch but could be used on iPad. All subject areas could benefit from using this app to enhance the recall of keywords and linking them to their use within some difficult subject areas. Some examples can be seen below of ways in which I plan to use the app within lessons. Students can choose an appropriate images from the internet or take a photo of an event, task or practical activity during the lesson to then make into a master piece later on. After being asked to deliver a week of assemblies focusing on ‘World Technology’ , I decided to try a little experiment using the power of twitter. On a dark, wet and wintry Sunday (5:30pm) evening I sent the tweet below. I was intrigued to see how far and quickly a tweet would travel without using #hashtags or mentioning any famous people. The tweet was only visible to my followers or anybody that happened to be searching my @gavinsmart username. RT and MT were the only way that this was going to work. 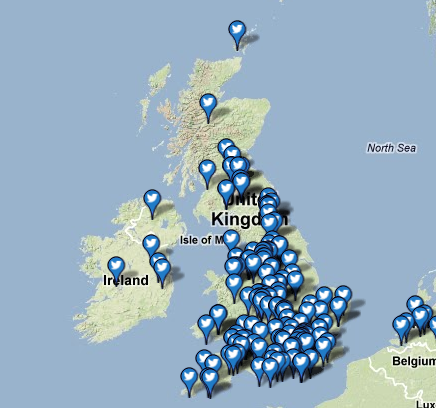 After just a few minutes the tweets started coming in from around the UK. It wasn’t long however until tweets were coming in from around the globe from Canada, Australia and New Zealand. By 10pm Sunday I had received 325 mentions and using twitonomy.com I was able to gather information about the locations of the tweets from all over the world. I also received an awesome tweet from @IanTLS who was 31,000 ft above the Indian Ocean. @Cmdr_Hadfield who is currently tweeting from the International space station was mentioned by many people but I am still waiting patiently for a mention. The annotated google map below shows the location of some of the tweeters than kindly replied to the request. Thank you so so much to all who took the time and effort to reply. All tweets can been seen in the tweet archive here.